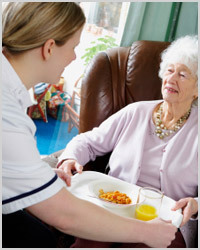 Affordable Home Care is the most trusted non medical home care company in Arizona. We specialize in providing exceptional caregiving services to individuals and couples who need assistance with activities of daily living. Individuals who have suffered from spinal cord trauma need help with many of these daily needs. Our caregivers can assist with retrieving items from a low cabinet when it’s too painful to bend down. We can support you in the shower or bath and wash hard to reach places so you can maintain proper hygeine. We provide safe transportation to doctor’s appointments or the grocery store. These are just a few examples of the many home care services that you may need caregiving assistance with, and that we have been providing throughout Phoenix since 1998. When spinal cord trauma causes paralysis, many simple tasks become very difficult to complete. Affordable Home Care’s professional caregiving staff works with you, providing crucial support to get you safely through the day. Our caregiving support is tailored to your individual needs. Whether you are completely dependent on assistance, or just looking for some support as you rebuild strength, or adapt to be as independent as possible, we have the right care for you.